A new report has revealed that most of the oil smuggled by Daesh Takfiri terrorist group from the areas under its control goes to Turkey, where it is sold off at low prices. The report, whose details were leaked recently by the Norwegian daily Klassekampen, was ordered by the Norwegian Foreign Ministry and compiled by the Oslo-based Rystad Energy, an independent oil and gas consulting services and business intelligence data firm. Rystad Energy used its own database as well as sources in the region to prepare the report, which is dated from July. “Exports happen in a well-established black market via Turkey. Many of the smugglers and corrupt border guards, who helped [former Iraqi dictator] Saddam Hussein avoid international sanctions, are now helping IS (Daesh) export oil and import cash,” the report added. On December 2, the Russian Defense Ministry said it is in possession of evidence that Turkey is involved in the illegal smuggling of oil from territories held by Daesh in Iraq and Syria. Ankara has, however, rejected the allegations. In November, Russian Prime Minister Dimitry Medvedev said some Turkish officials have “direct financial interest” in the oil trade with Daesh. “Turkey’s actions are de facto protection” of Daesh, said Medvedev, adding, “This is no surprise, considering the information we have about direct financial interest of some Turkish officials relating to the supply of oil products refined by plants controlled” by the Takfiri terror group. Earlier this week, the United Nations Security Council (UNSC) adopted a resolution aimed at clogging up Daesh’s revenue stream. “Apparently the march was financed somehow from the outside. PLN150 million [$38 million] are to be given by the Jews, the Jewish banker, in organization of the march,” Pawel Kukiz said, in an interview on Sunday with Zet Radio. 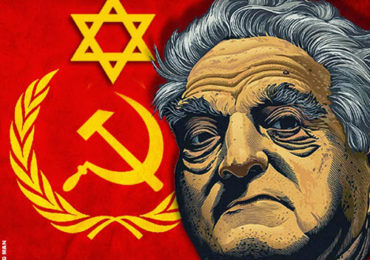 According to the station, Kukiz was referring to American financier George Soros. “Kukiz is an anti-Semite,” opposition politician Janusz Palikot wrote on Twitter. JERUSALEM (JTA) — Three rockets fired from Lebanon landed in northern Israel. The rockets reportedly landed in areas of the Western Galilee on Sunday evening, the Israel Defense Forces said. Code Red sirens sounded in the northern Israeli city of Nahariya and other surrounding northern Israeli communities prior to the strikes. The rockets are believed to have landed in open areas. The Israel Defense Forces responded to the attacks with artillery fire on targets in southern Lebanon, the IDF spokesman confirmed on Sunday night. The Syrian army units, backed by Hezbollah resistance fighters, have managed to liberate more strategic areas from the foreign-backed militants in the northern province of Aleppo. Syria’s official news agency, SANA, quoted military sources as saying on Sunday that the army regained control of Khan Tuman and neighboring farms, and Qarassi village and the surrounding warehouses in the southern countryside of Aleppo province following heavy clashes with terrorists. Meanwhile, the Syrian Observatory for Human Rights (SOHR), a Britain-based group close to Syria’s foreign-backed opposition, confirmed that Tuman and neighboring farms were now under full control of the Syrian army. According to SOHR, Syrian government forces fighting on the ground were backed by Russian and Syrian aircraft during the major anti-militant offensive. The group added that the Russian and Syrian fighter jets conducted at least 40 airstrikes on militants’ positions across the troubled region. The Syrian army also inflicted losses on the personnel and equipment of the militants. At least 16 militants were killed. The West is making a strategic mistake by focusing its anti-terrorist effort on Islamic State (IS. previously ISIS/ISIL) and overlooking other groups, an upcoming report claims. Sixty percent of fighters in the country can be classified as Islamists and have goals similar to IS. Those fighters belong to at least 15 other militant groups, which are mostly being ignored by the West, British media cited the Centre on Religion & Geopolitics, a think-tank run by the Tony Blair Faith Foundation, as saying. Fewer than one quarter of the groups surveyed by the center had no ideological agenda, but many of them were willing to fight alongside the Islamists and accept their leadership in a post-war Syria. WASHINGTON (JTA) — Democratic candidates for the presidency sparred over how deeply involved the United States should be in the Syrian crisis. In the latest Democratic debate, broadcast Saturday night from New Hampshire, front-runner Hillary Clinton favored a strategy that would eventually unseat Syrian leader Bashar Assad, while Sen. Bernie Sanders, I-Vt., and former Maryland Gov. Martin O’Malley said that the main goal should be defeating Islamic State terrorists. Sanders and O’Malley said seeking regime change left too many open-ended risks, as evidenced by the outcome of the 2003 Iraq invasion, which Clinton voted for as senator from New York and Sanders opposed. Clinton said leaving Assad, a client of Iran, in power posed too great a danger to the United States and its allies. “The Iranians are getting more of a presence in Syria, linking with Hezbollah, their proxy in Lebanon, would threaten Israel and would make it more difficult for us to move on a path to have a transition that at some point would deal with Assad’s future,” she said. Baghdad has welcomed Turkey’s announcement that it will start removing its troops stationed in northern Iraq but says it will continue efforts until all the forces are pulled out. “What has been reported in the media is a step in the right direction,” Iraqi Foreign Minister Ibrahim al-Jaafari said in a statement released on Sunday. On Saturday, the Turkish Foreign Ministry announced that Ankara will continue to recall some of the troops from the Bashiqa military base in Iraq’s northern Nineveh province. Baghdad also called on the Security Council to adopt a resolution, urging Turkey to end its “illegal incursion” and immediately withdraw all of its troops from the Iraqi soil. Turkey claims that the troops are deployed to train Iraqi Kurdish Peshmerga fighters battling the Daesh Takfiri terrorist group. The Iraqi army has called on civilians to leave the Islamic State-controlled (IS, formerly ISIS/ISIL) city of Ramadi within 72 hours, which may mean the military is preparing to launch an assault on the city. Iraqi military jets dropped leaflets carrying the warning on Ramadi on Sunday. The leaflets also show safe routes for civilians to take when leaving and ask residents to carry identification documents with them. “All security forces were instructed on how to deal with civilian approaching them,” joint operations spokesman Brigadier General Yahya Rasool told Reuters. The notice for civilians may mean that the Iraqi army is getting ready to launch a large-scale military operation to recapture Ramadi. “It [dropping leaflets] is an indication that a major military operation to retake the city center will start soon,” an unnamed officer told Reuters. WASHINGTON (JTA) — Two Jewish organizations called for a review of U.S. security practices after a dentist who worked for the Navy was denied security clearance on account of immediate family members who live in Israel. Gershon Pincus, a resident of New York City, was initially cleared to work one day a week at a Navy dental clinic in Sarasota Springs, N.Y. Pincus, 60, took the work and the 400-mile round-trip commute, he said, in part because he wanted to do something for his country. Upon further review, Pincus was denied clearance, according to a report last week in the Wall Street Journal. Pincus’ familial ties to Israel were cited in denying his clearance. JERUSALEM (JTA) — Israeli Interior Minister Silvan Shalom announced he is resigning from the Knesset amid allegations of sexual misconduct. Shalom made the announcement on Sunday evening. At least six women have come forward in the last week to accuse him of sexual assault or of forcing himself on them. The allegations first came to light last week in a report in the Israeli daily Haaretz. 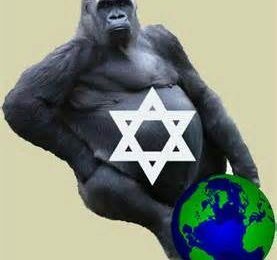 Shalom has maintained his innocence. JERUSALEM (JTA) — Comedian Jerry Seinfeld performed to sold-out audiences in Tel Aviv. Seinfeld performed two shows on Saturday night and was scheduled to perform two more on Sunday evening at an 11,000-seat basketball arena. The performances are Seinfeld’s first in Israel. “Oh my god, I’m in Israel!” he said at the beginning of his first one-hour show. During his encore, Seinfeld took questions from the audience. He did not discuss the security situation or talk specifically about Israel during his routine. The comedian, who starred in the eponymous hit TV show in the 1990s, last visited Israel in 2007 when he was promoting “The Bee Movie.” In 1971, he volunteered on an Israeli kibbutz. An annotated version of Hitler’s infamous “Mein Kampf,” banned in Germany for decades, will hit the bookshelves in January. Now it will become part of the school curriculum to “immunize” teenagers against fascist ideas, the German Teachers’ Association says. 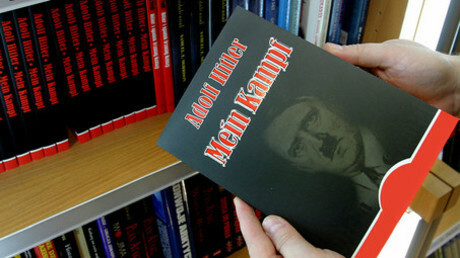 On Friday, German Teachers’ Association and the Social Democrats proposed that Hitler’s autobiographical Nazi manifesto be taught in high schools to help “immunize” youngsters against far-right ideologies. “A professional use of excerpts from the [original] text for lecturing can be an important tool for immunization of teenagers against political extremism,” the president of the association, Josef Kraus, told Handelsblatt newspaper, arguing that schools cannot ignore Hitler’s book. He says “Mein Kampf” is better taught as a revised edition by professionally trained politics teachers rather than get accessed by youngsters in the web without any guidance. Hungary’s Jewish community has called on the right-wing government of Prime Minister Viktor Orban’s Fidesz party to block the statue commemorating the Nazi-supporter who pushed anti-Jewish laws. A US envoy said on Sunday that Washington was shocked by plans to erect a statue of Balint Homan, who contributed to murderous anti-Semitism in Hungary in the 1930s and 40s. 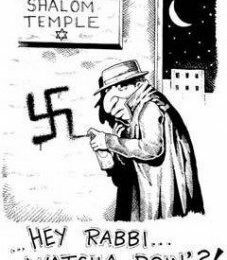 “From the US government perspective we feel very strongly that history and the damage that this man did to Hungarian citizens who happened to be Jewish cannot be ignored, and to put up that statue seems incomprehensible,” Ira Forman, special envoy against anti-Semitism, told Reuters.